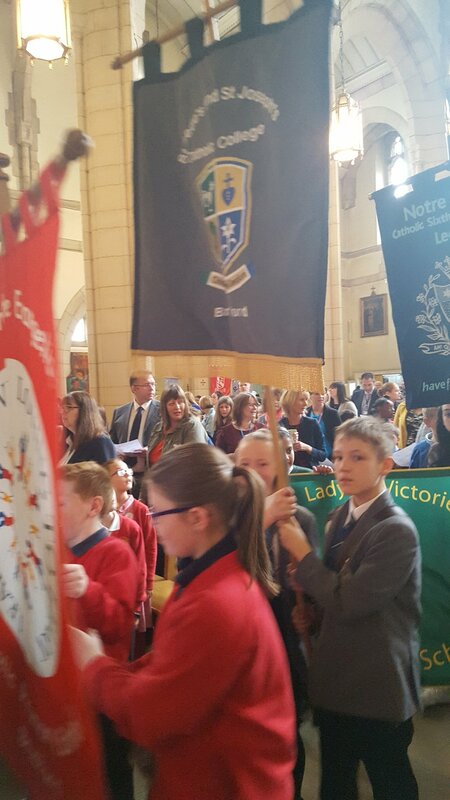 Friday the 11th May 4 St Bede’s and St Joseph’s Catholic College students set off to represent the college at Leeds Cathedral. 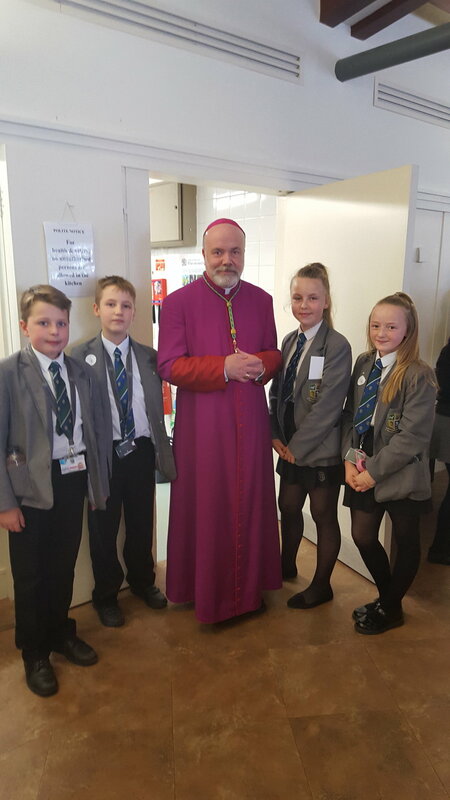 Here they were going to present a cheque for £1797.04 to Bishop Marcus for the Good Shepherd Fund. It was a very special morning. There were lots of schools there from our Diocese most were primary children so we felt very proud to represent SBSJ. Bishop Marcus informed us that we had presented the biggest cheque. Catholic Care spoke about all the work that they carry out with this money and we heard an emotional speech from a young mother who had been helped by Catholic Care. Two primary schools provided entertainment during the presentations of the cheque's, which was very moving. The children had written poems and sang songs based on the work of Catholic Care. Yr8 Parents Evening 17th May.